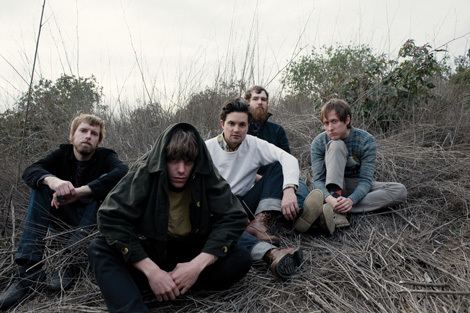 Darker My Love are just announcing a fall tour with Band Of Horses in support of their upcoming album Alive As You Are, out Aug. 17th on Dangerbird Records. This album will be their third, following up their breakthrough sophomore album “2”. Alive As You Are promises to be themost musically focused and emotionally direct collection to date; 11 songs that travel away the glorious fuzz and distortion of past records to a more evocative approach marked by bold, honest songwriting and intricate arrangements that further illuminate the band’s myriad of classic influences. Check out the track Split Minute. You can download the track for near free here. If you’re wanting more, try outDear Author.